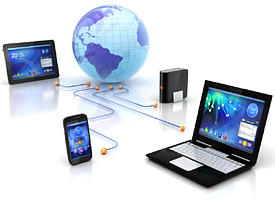 What is mobile hosting and why is it so important? PRINT2D's mobile hosted platform identifies the Operating System on most cell phones as a primary function. By knowing which type of device a user is on, we can maximize their experience - all using the mobile Web. We employ .HTML5, .PHP, Ruby On Rails and proprietary technology to deliver lightning fast engagement which can be tracked and measured. We support application delivery. Use mobile detection by PRINT2D to deliver multiple versions of your app to the correct device - fast. We offer direct download for apps hosted on our mobile servers or redirection to online app stores. Add mobile features like image galleries and social media to feature and promote your app in style. 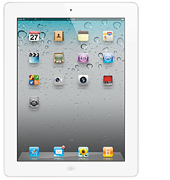 Mobile detection and content delivery for iPads®. Great for publishers and online content providers, our user-agent detection can decipher between iPhone® and iPad® offering a unique experience for users on both. PRINT2D hosting is available in three plans, click here for options and pricing.